Juan Carlos Martinez is also honorary president of the State Employees Association of Notaries (Feapen). For professional notary, mediation is also a point to introduce in the notarial sector. “The notice is a court center where conflicts are resolved , ” said Martinez. 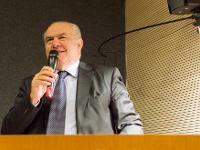 Which noted that “we have been able to help many people to reach agreements” during his career. 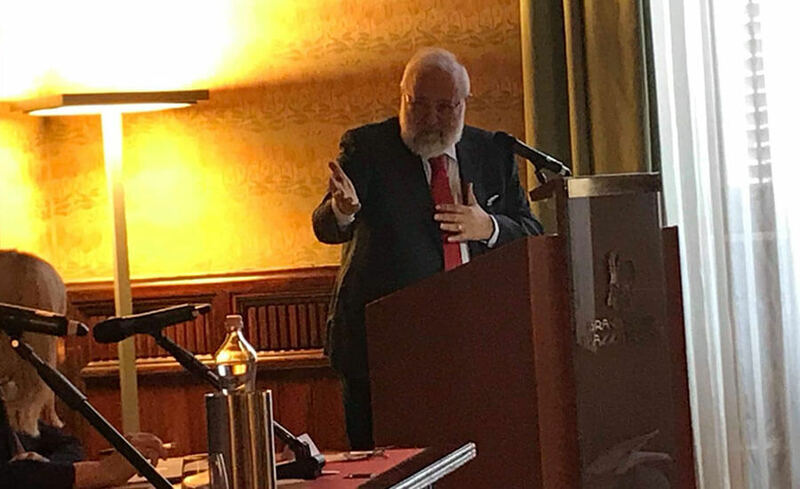 In this sense, Juan Carlos Martinez explained that there are cases that come to the notary in which no agreements in various clauses or contents. It is in these cases where you notary must mediate to “resolve conflicts that arise “. It is “helping others to reach agreements on controversial documentary , ” he said. A task that involves mediation. That is why we have launched a course of mediation and notarization. A project that aims to “help employees who have minimal notions to resolve conflicts. Which the notarization is suscitanen” explained Juan Carlos Martinez. 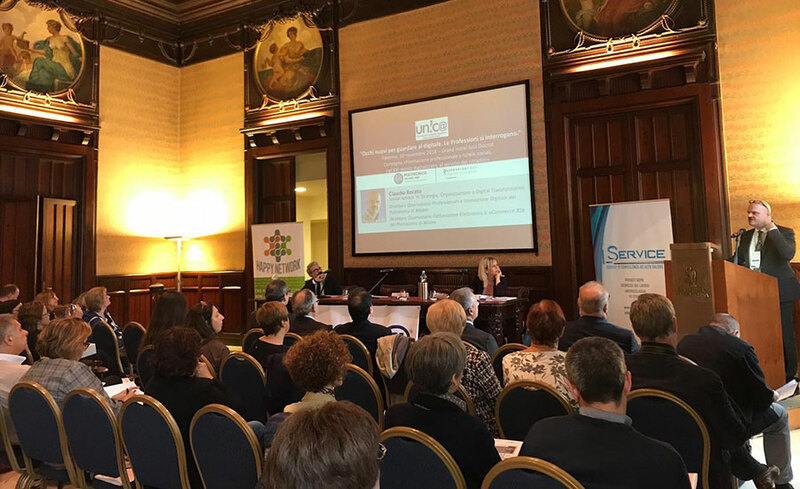 On November 10, 2018, an extraordinary International Convention organized by the Association of Italian Notary Dependents UNIC @ was held in the splendid Ducrot Room of the Grand Hotel “Piazza Borsa”, in the city of Palermo, Sicily (Italy). 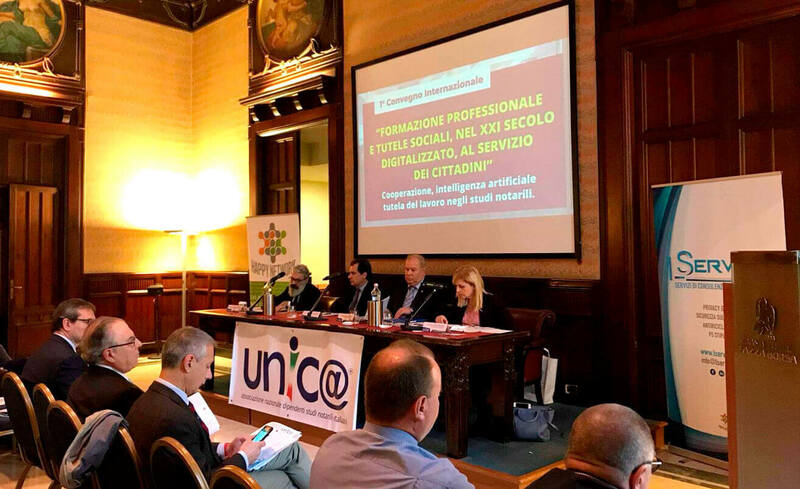 The title of the convention was PROFESSIONAL TRAINING AND SOCIAL PROTECTION, IN THE 21ST CENTURY OF DIGITIZATION AT THE SERVICE OF CITIZENS. 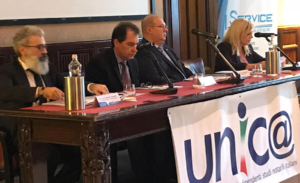 The act was moderated by the Vice President of UIPAN and UNIC @, Dina Nicosia, architect and responsible for the organization of the Convention. In his speech he recalled the importance of artificial intelligence today. In the act we received the institutional greetings by the Councilor for Training of the City of Palermo Dott. 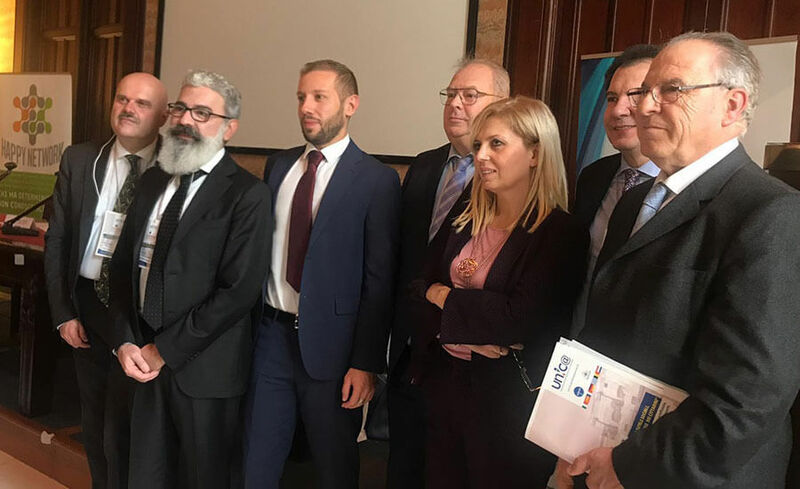 Gaspare Nicotri on behalf of Mayor Leoluca Orlando Cascio, Regional Councilor for Education and Education Prof. Roberto Lagalla and Notary Francesco Li Mandri for the Notarial Council of the Districts of Palermo and Termini Imerese. It was attended by Italian and Sicilian notaries represented in the speeches of Dr. Maurizia Bertoncino, former founder and president of Unic @, now notary in Turin. 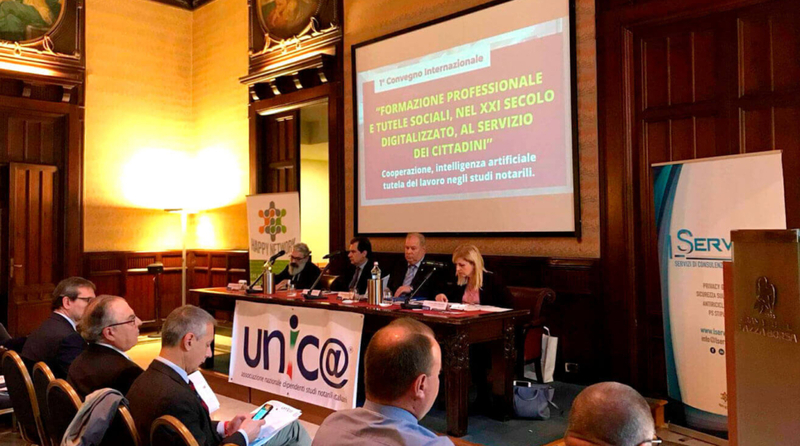 Prof. Enrico Maccarone, Notary in Palermo, and Dr. Antonina Ferraro, Notary in Canicattì, who encouraged us to continue collaborating with notarial institutions and to continue training. 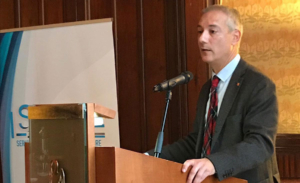 Then Ludwig Rasscheart, President of CPNUE, took the floor and indicated where our digital era is headed. In similar terms, the Presidents of the Belgian and French Associations, Vicent Vranck and Serge Forest, expressed themselves. Next, Anne Melloue, President of the Greek Association and Secretary of UIPAN, took the podium, which in her speech stated that “digital work has changed the way we work, but the amount of work and hours of work have not changed”, concluding that “digitization has been a benefit for the government, even for notaries, but not for employees”. 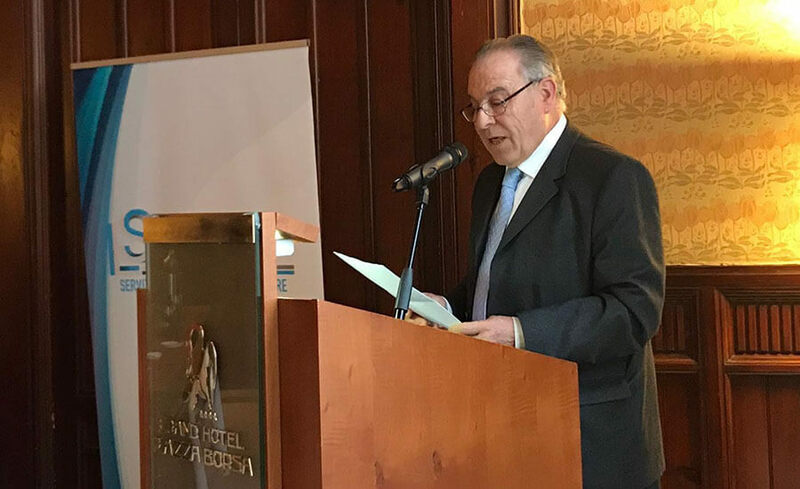 The event was concluded by our distinguished colleague Gabriele Rossetti, President of Unic @ and Vocal of Uipan, stating that “we must recognize that technological innovations have improved, at least in our sector, the response to clients and the notary service, which is made of advice, but also of many practical activities. We must take care of the value that the activity of the notary public provides in the important phases of the lives of people and their families that can not be separated from a social approach “. UIPAN is grateful to Unic @ for the invitation to this important event for the collective of professionals of Notaries distributed all over the world, and following the words of the President of UIPAN we all contribute to preserve the “essences” of the Notary through our commitment to the notarial institution and our colleagues around the world. 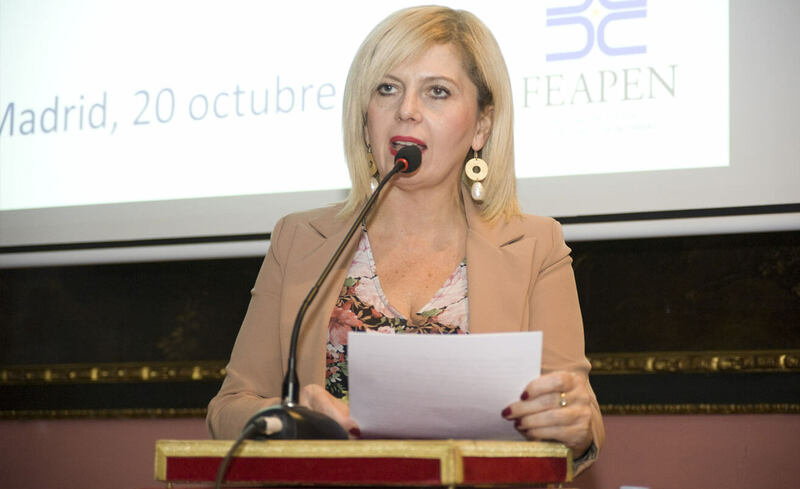 Last October 20, 2018, took place in the historic Royal Economic Society of Friends of the Country, in the Torre de los Lujanes in Madrid, the commemoration of the 25th anniversary of the magazine INTER NOS, edited by the State Association of Employees of Notaries – FEAPEN – of Spain. 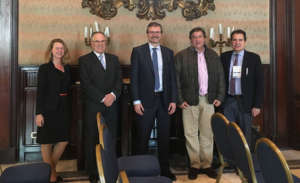 UIPAN was very well represented, as it had members of its Board of Directors, such as Juan Carlos Martínez, Dina Nicosia, Gabriele Rossetti, Juan Carlos Rodicio and Miguel Ángel Bueno. 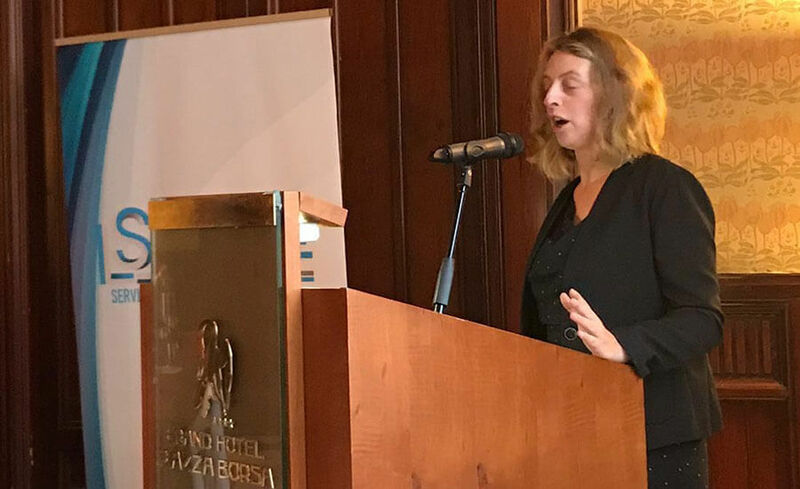 The Vice President of UIPAN, Dina Nicosia, conveyed her congratulations to the more than seventy guests and made a call to young people to get involved in training and corporate affairs. Little by little, year after year, the auxiliaries of the Notariado are leaving our mark for our work and having completed 25 years a publication, quarter after quarter is an achievement without equal. 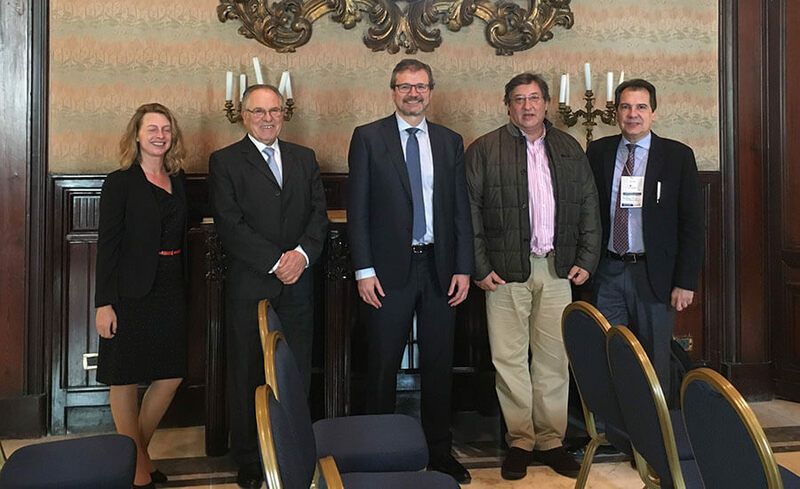 Congratulations to the four Directors of Inter Nos, including our President, Juan Carlos Martínez. 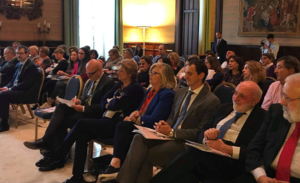 UIPAN continues to grow along with the FEAPEN and UNIC @ Associations, which were represented at the event, by their Presidents, José Gómez de la Rosa and Gabriele Rossetti. 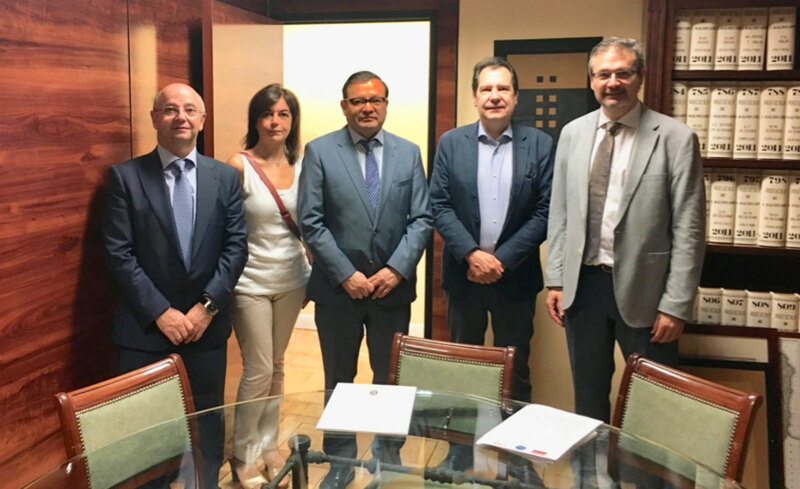 On July 23, 2018, UIPAN has signed a collaboration agreement with the High School of Management and Business Administration S.L. 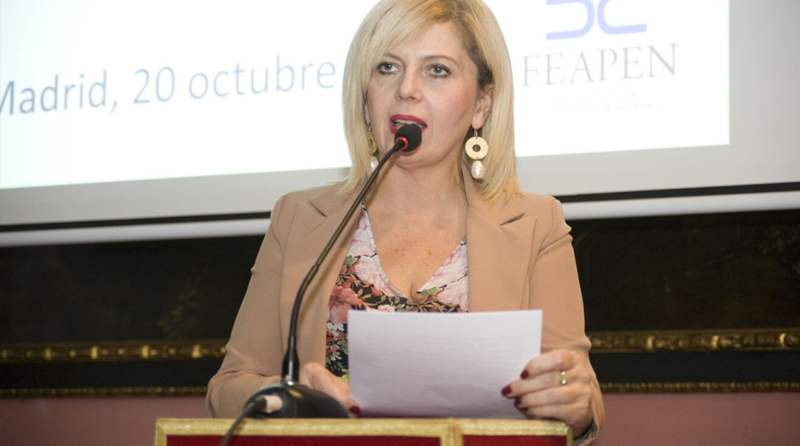 (EDAE) for the delivery of a course of “UNIVERSITY EXPERT IN MANAGEMENT AND ADMINISTRATION OF NOTARIES” addressed to the notary assistants of BOLIVIA, which will have the support of the UNIVERSITY NUR. 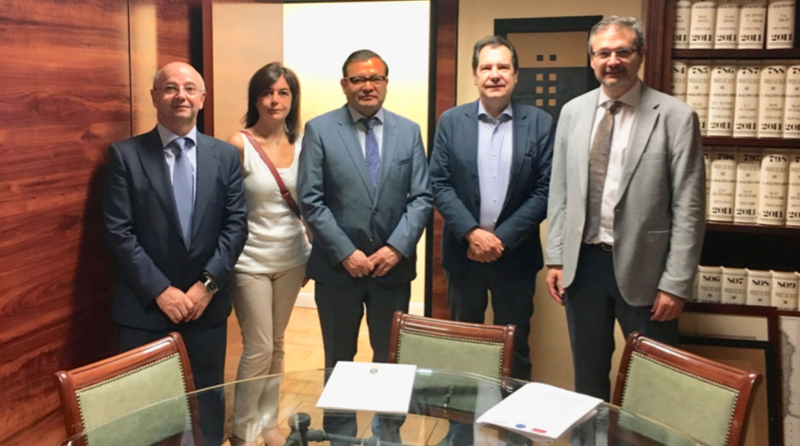 The agreement has been signed by Gonzalo Ruiz Sánchez, on behalf of the EDAE, and by the President of UIPAN, Juan Carlos Martínez Ortega, who has been accompanied by the members of the Association, Rafael Rodríguez and Miguel Ángel Bueno. The program will begin at the end of September and there is much expectation about the outcome of this exciting and participatory project in a country like Bolivia. UIPAN is walking steadily towards its final goal, collaborating with all the auxiliaries of the Notaries in their training and preparation to assume their work in the Notaries with greater rigor and professionalism. 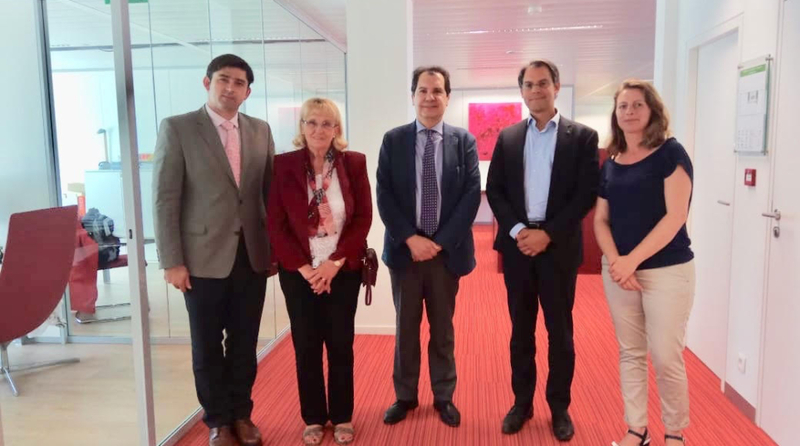 On 6 June, a meeting with President Marius Kohler and Secretary General Raul Radoi, the heads of the Council of Notaries of Europe (CNUE), took place in Brussels, with the President and Member of the Council, of the Professional International Union of Auxiliaries of Notaries (UIPAN), Juan Carlos Martínez Ortega and Anne Malleu, of Spain and Greece, accompanied by the Belgian, María Rosa Crespo. 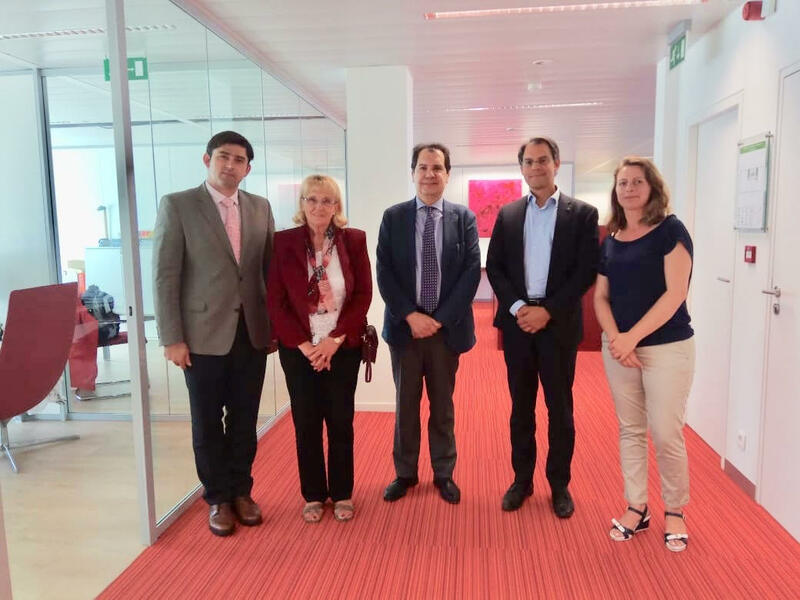 The meeting took place in a climate of cordiality and mutual understanding, evidencing that from different positions, both organizations have a common objective: the strengthening of the notarial institution. It is necessary more than ever the formation of all the human team that forms the structure of the Notary, and that happens, irremediably, by current legal and technological instruction. Continuous training is required to meet the new challenges of our globalized world. 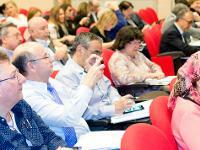 Our representatives delivered the members of CNUE a dossier with our objectives, corporate and training projects. We explain that CNUE needs UIPAN and vice versa. 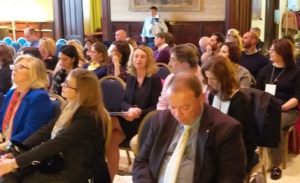 The European Notary is not limited to a group of legal elite made up of 40,000 Notaries, but, at their side and under their direction, there are more than 200,000 professionals who contribute to the maintenance of the institution. 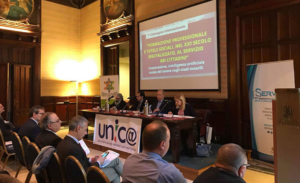 We hope that this meeting will involve a greater involvement of CNUE in the training of Notarial workers and that, in a clear and generous manner, they will support financially and corporately all the projects of UIPAN, the World Association of Auxiliaries of Notaries. On Saturday, April 14, 2018, at the prestigious Cervantes Institute in Naples (Italy), the Association “International Professional Union of Auxiliaries of Notaries” UIPAN carried out with outstanding success its first Training Seminar directed mainly to the group of employees of Notaries. 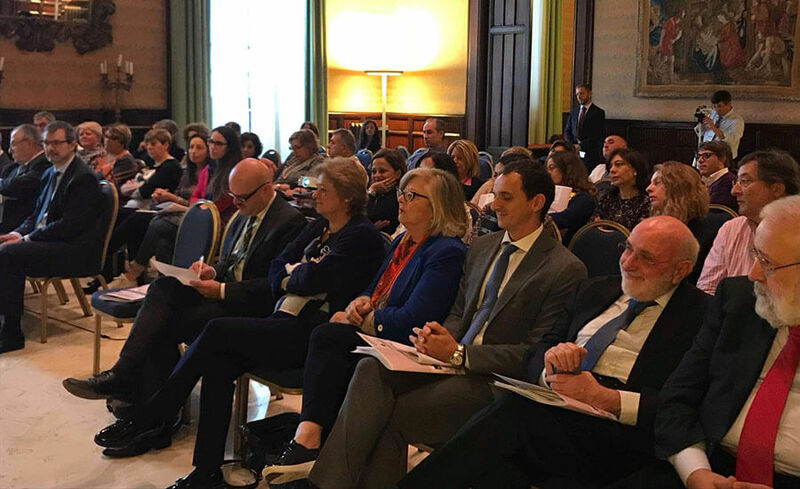 The seventy participants, from Italy, Spain and Greece, enjoyed the legal program that developed the practical aspects of the succession in Spain and Italy, highlighting the European Certificate of Succession. The act was opened by Italian notary assistants Michela Crecentini and Dina Nicosia, Member and Vice President of UIPAN. Next, the President of the Notarial Council of Naples, Antonio Areniello, spoke with encouraging words, showing how we have to work together and harmoniously Notaries and employees. 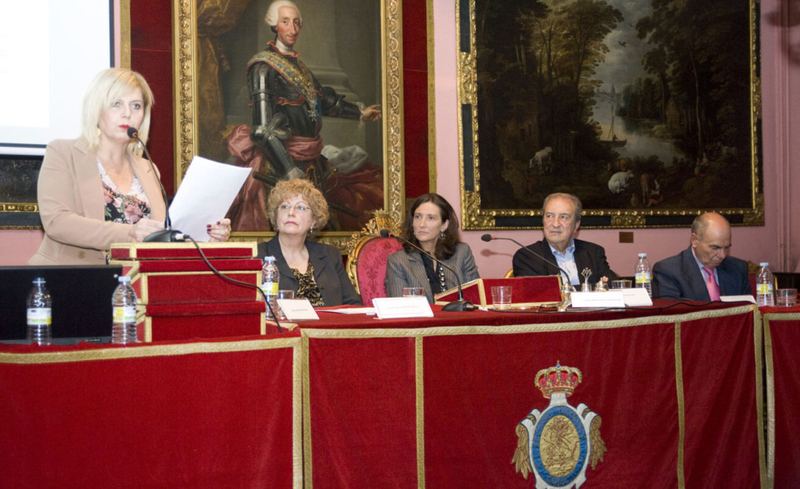 On the Spanish side, Juan Pablo Pérez Velázquez and Juan Carlos Martínez, professors of the Pablo de Olavide University of Seville and the Center for University Studies, of Madrid, respectively, attended the topics “The reform of the legitimate” and ” The public testament in front of the holograph “. 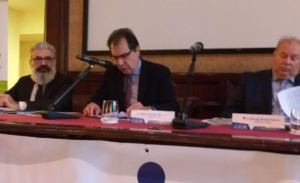 The other participants were the Notaries: Antonio Fuccillo, whose lecture was “The Pact of Succession in the present Italian and future European” and Doménico Damascelli and Paolo Pascualis who explored the most practical aspects in the notarial offices on the “Certificate of European Succession”. 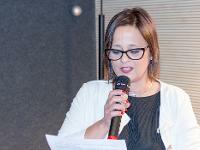 Gabrielle Rossetti, President of UNIC @, closed the ceremony. 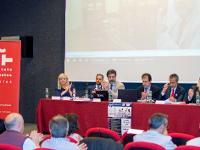 It is a pleasure to inform you of the IV Edition, of the University Course of “EXTRAJUDICIAL AND NOTARY LAW”, that thanks to the initiative and impulse of FEAPEN and ELNOTARIO.COM, will begin on February 26, 2017. We are facing a University Course without competence in this matter, both for the subject and for the teachers of it. We have tried to make the cost of tuition available to all employees of Notaries and legal professionals. 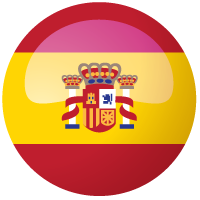 Tuition fees amount to only FIVE HUNDRED FIFTY EUROS (€ 550), and in addition, passing the Course leads to obtaining 40 ECTS credits. The duration of the course is 300 hours of virtual teaching, which will run for 7 months, from February 26 to September 15, 2018. This course is aimed at all legal professionals who wish to deepen the extrajudicial and notarial law, especially for lawyers, notaries and registrars. Students of legal branches, Law graduates and other legal careers. The graduated or licensed status is not required as long as professional experience is accredited in the subject matter of the course, thanks to the negotiation of FEAPEN to enable access to Notary Officer and Registers officers to non-graduates. Those professionals who wish to obtain the specific and general skills and competences that the Course offers will also be admitted.